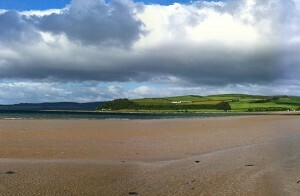 Beaches of Bute- Time Stands Still Here! The opening of River Clyde in Scotland stretches wide with open arms into the deep Atlantic Ocean. The gorgeous islands offer magnificent sailing in marinas for yachts to harbor. With so many beautiful coves and beaches, and lots of things to explore, the Island of Bute has much to offer. Time has perhaps forgotten the beauty and calmness of this region. Bute is filled with lovely beaches where you can spend a pleasant vacation and leave the frustrations of your routine life. 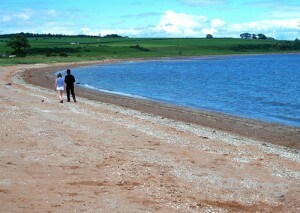 This article shall provide you a glimpse of beaches of Bute that invite people to relax in the laps of nature. It is located in the west coast of island, and it is covered with red sand giving a velvety touch to the environment. This beach was used for military activities during World War 2, therefore one can notice small cottages built above the line that still looks as if you are protected. Here, you will get to see the stunning panoramic view of holy Isle and Arran. You can even shoot natures scene and treasure them lifelong. When you turn down from Kingarth hotel you can check out this beach. This is a wide and long beach filled with red sandstones inviting tourists too walk on a red carpet. Simply park your car, and walk along the line of tiny petite cottages. The best thing of this beach is the sound of birds and their feel as well. 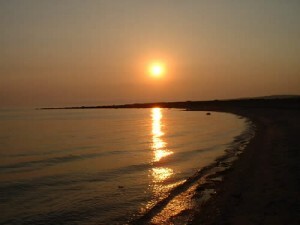 This is a sandy beach with a golden layer, long and soothe beach where you can have a relaxing time. It is located in west coast of Bute island. This beach is famous for tourists and people who want to have fun while enjoying yummy delicacies. There is a parking space, childrens playing area and neat toilet conveniences. The south side of this beach has birds place where you can get exciting sight of sea birds and waders. 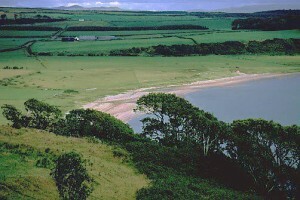 In addition to this, water of Ettrick bay is regularly examined by SEPA, hence people can swim and paddle here without worrying about anything. During summer time, you can also see the clarity of water here. To reach this beach you need to follow the way western island on foot, from west coast to St Blanes Chapel road. This is a serene place just opposite to Arran, from this bay you can view volcanic rock and the glorious fort of Dunagoil. If you are alone and want to hear the silence of nature, this is absolutely the right place. 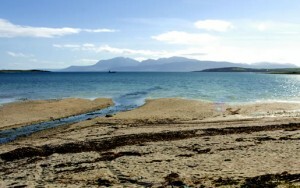 This is a small beach located on west cat of Bute island wonderful view of waterfront. You can experience spring tides splashing over offering joy and composure. You can get amazing views from here of Inchmarnock which is a stretched satellite isle of western Bute. You can have a fun filled fishing time with your loved ones at this beach.